Mojoy: Bohemian style show... it's GO time. Bohemian style show... it's GO time. Moving right along in the evening, little by little, girls would emerge dolled up in their Bohemian outfits, with hair and make up runway ready. And as they poured out, I'd be checking each salon station and seeing how close we were til "go time". I ran through the house announcing, "T minus 5 minutes til showtime", and asking our audience to please make their way to the runway in the back. I'd even texted random people earlier and asked them to come out to watch an actual Bohemian style show, as I wanted there to be an actual audience. Some were parents. Some were neighbors. Some who came were just my friends who wanted to watch. I even got a few men to join the show. Hey. Look. I even got in on the action! Amelia took her post as the emcee, and I asked each girl to write up a short "bio" about herself so they could have announcing fodder as they took their places on the stage. First up, Kiley and Brittany. Each girl got to decide whether she wanted to work the stage alone or with a partner. I think this one might be in an actual magazine one day. Please check out our feather streamers delineating the runway. Breanna made that for me. Very cute. Her son, Elijah, is having an "Indian party" in the spring, so we figured most of this feather stuff could have a dual role and get recycled. Above we have Mary in my red boots, and below is Aimee and Sarah. Next up, Maddie and Tatum. We were clapping and hollering and encouraging them to pose and such. I'd made a little pass backstage and also encouraged them to make up little routines to show the audience. Look at these two blowing kisses. Some of them are naturally shy, so I was pretty impressed that a) they even did this and b) they hammed it up so well! Here's Allie, from Ellie's class. I was shocked she walked the runway by herself, but she did! And she OWNED it, baby! Little Miss Mollie Mae doesnt' have a shy bone in her body! When they move down the street, her mom and I might have to keep a CLOSE eye, as I suspect she and Miss Ellie Sue will have a lot of mischief planned. Here's Piper. She had the PERFECT feathery/ leathery sandals for the styleshow. Next up, Mollie Mae and Tatum's older sister, Erin. (There are five kids in that family). And she walked with one of Ellie's best pals at school, Avery. Avery looked very flower child. Erin had borrowed a scarf and felt like it looked more chic sort of draped across her shoulders. I guess I can see it. Here comes little miss High Heels. Gabbi wasn't the least bit nervous. She, lately, insists on wearing these heels just about everywhere. She likes the way they sound when they walk. The Easter Bunny brought them for Ellie, but she really never had much interest. They were pretty much for play anyway. But Gabs, she LOVES them. Bless that poor posing baby's heart! Look at the faces above...everyone would applaud and encourage the models to move around the stage. And Gabs certainly did... up the stage, down the stage, across the stage, posing all the way. She was crossing those legs and posing and stepping back and twirling... like a boss. 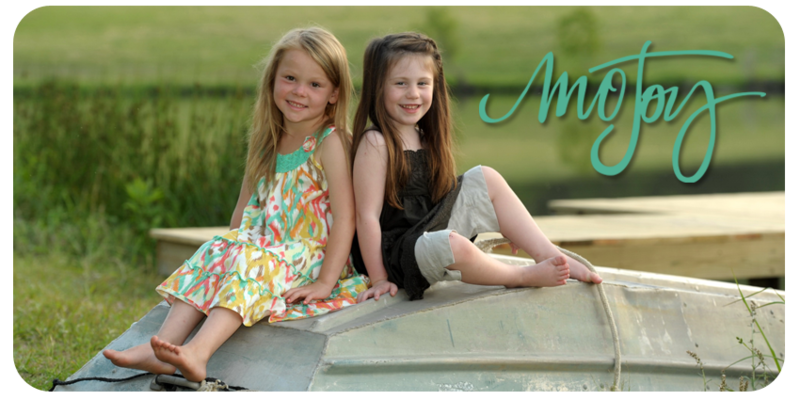 These are Breanna's girls, Hazel and Renee. These are the two girls I helped style. Whatcha think?! Finally the birthday girl herself. And for whatever reason, she seemed to be the most self conscious of all. HUH? you ask... yeah. Me too. She wouldn't pose and acted somewhat embarassed at the whole crowd. MY SHINING STAR?! The one who loves to be the center of attention? What's up with that? She took her runway walk all alone though, and the crowd roared when she was announced. After all, she was the birthday girl! and finally... the grand finale'. all the girls poured on stage for one last walk. and they gathered at the end of the runway for a group pose. This was the main event of the evening. The culmination of our headband making and having hair and make up done. I think for having this many girls, and of all different ages, the party went as well as could have been planned. Ellie's Bohemian Style Show was a success. ONly one thing left to do... eat cake and ice cream. Stay tuned... that's the last birthday post. Tomorrow. Just an absolutely fun and memorable birthday for Ellie and all who attended! You are so blessed with great friends of all ages who help fulfill your plans..no matter what or where! I enjoyed your post...almost like I was there! I was a hairdresser for several years right out of high school so this would have been right down my alley. LOL Thanks for sharing..
WHAT FUN!!! Great memories made for all involved. You rock, Mel! Mom of the year award - every day! What a great idea, especially for Ellie! Looks like EVERYONE had fun! Next up - Gabbi! You're making some awesome memories...what a great birthday for Ellie! THIS IS THE MOST FUN GIRLY BIRTHDAY I HAVE EVER SEEN. YOU ARE A WONDERFUL MAMA TO THESE GIRLS. Dear, I like all your post. Everything looks so sweet, I admire this kind of life and the best wishes for you. Hope that we can communicate with each other. By the way, anybody try this android pt forum ? I lost my data and I don’t know how to recover.